As I mentioned in my previous post I am working on School Counselor Twitter research with Dr. Erin Mason, founder of School Counselor Online Professional Exchange (SCOPE). If you are a school counselor, school counseling graduate student, or counselor educator that uses Twitter, please take this survey to share how you use twitter: buff.ly/YsqLhf. I was charged with the task of determining how many school counselors there are on Twitter. At first I had no idea how I was going to do it... I mean Twitter is a pretty big place. I also wasn't sure what I would do with the information once I found it. Then I had an idea that would not only help me catalog school counselors, but would beneficial to school counselors on Twitter. I decided to create lists of school counselors on Twitter. The Twitter lists I created will help school counselors, school counseling graduate students, and counselor educators on Twitter easily find and connect with other more easily. If you are on Twitter you can subscribe to the lists to connect and share with other school counselors. You can also be added to the list by tweeting to me or Direct Messaging me on Twitter. 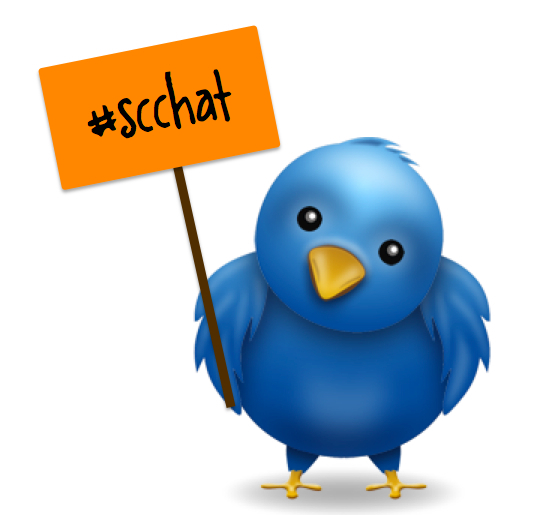 My handle is @sch_counselor. 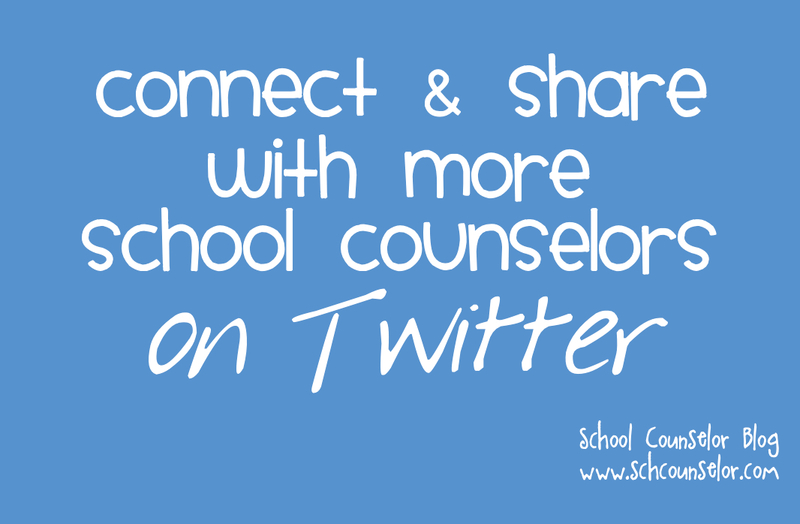 I have been working on finding and adding school counselors who state that they are a school counselor in their Twitter profile. You can view all of the lists I created here or subscribe to specific lists by clicking on the topic below. School Counselors part1 - Subscribe to connect with school counselors, school counseling graduate students, and counselor educators! School Accounts - School Counseling Programs and Departments using twitter to share information with their school community. School Counselor Organizations - School Counseling Organizations including state School Counselor Organizations. Counselor Education Programs - Counselor Education Programs using Twitter. 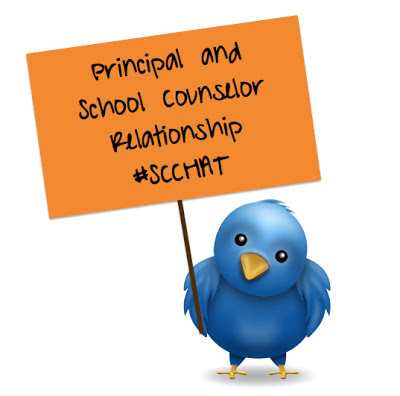 Another great way to connect and share with school counselors on twitter is to participate in the monthly School Counselor Tweet Chats that Dr. Mason and I host. 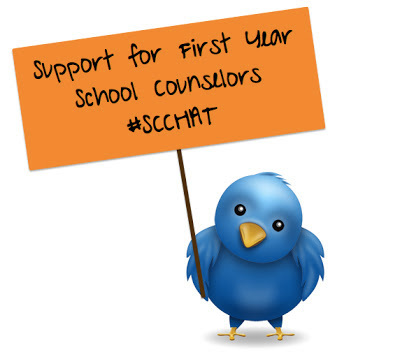 You can find more information and a schedule for the School Counselor Tweet Chats here. 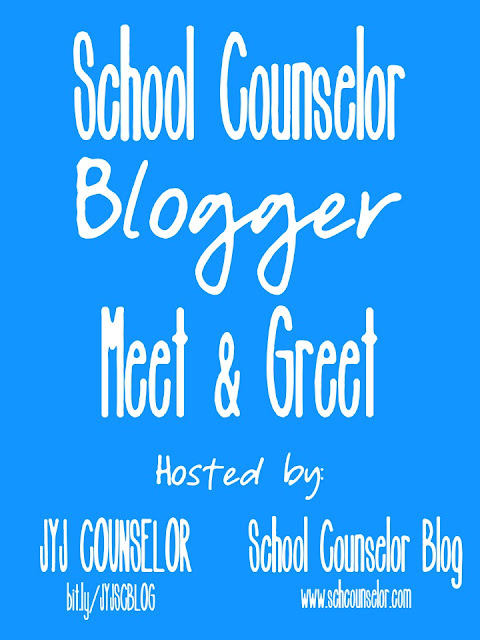 The next School Counselor Twitter chat is on Tuesday, December 4th at 8pmEST. How will you use School Counselor Twitter lists to connect and share with more school counselors? I hope you all had a wonderful holiday break! I am shocked at how fast November is going! Although I have been posting things a lot I feel like I really have not written anything specifically for School Counselor Blog in awhile. It has been a difficult transition for me from full-time school counselor to full-time doctoral student and graduate assistant. I miss the kids I worked with so much but I am happy about the decision I made to pursue a PhD in Counselor Education and Supervision. I had an "AHA" moment today... I still have all kinds of ideas floating around in my head that apply to counseling younger students, but no way to execute them... just because I can't execute all of the ideas I am having does not meet that YOU cannot! 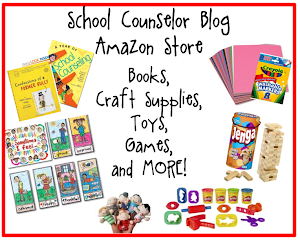 I have resolved to share more ideas and keep providing you with the fun and creative ideas you have come to expect from School Counselor Blog. Now that I am working with older students - college athletes to be exact - I can also transfer the ideas I am implementing with college-age students into ideas for you to implement in your work! 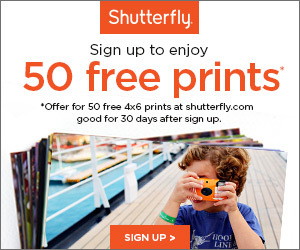 Hosting a webinar, Blogging in 5 Easy Steps, in January for the 2012-2013 ASCA Webinar Series. Presenting a session titled Get Your Blog On! at the ASCA National Conference with blogger buddy Andrea Burston from JYJoyner Counselor. Presenting another Tech Smackdown session with tech savvy school counselor friends Dr. Erin Mason, Dr. Russ Sabella, Julia V. Taylor, and Andrea Burston at the ASCA National Conference. Whew! That is a lot when you see it all in one list! 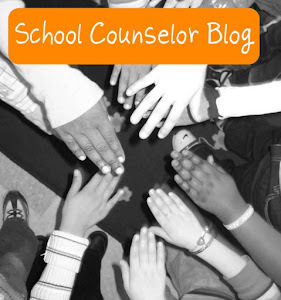 I am also continuing to accept submissions of ideas to the School Counselor Spotlight, which is a great opportunity for you to share your ideas with School Counselor Blog readers! 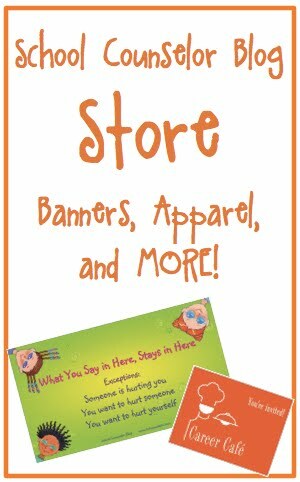 So, here's to sharing more and looking forward! What do you have in the works for the end of 2012? What are you looking forward to in the year ahead? 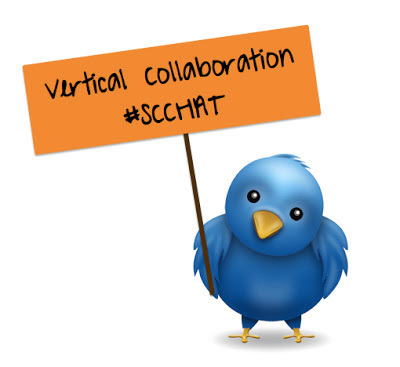 October's #SCCHAT was held on October 2, 2012 at 8pmEST. The topic was Vertical Collaboration. Jeremy Goldman, @MrJGoldman, and Kelly Johnson, @kelly_counselor, moderated the #scchat.